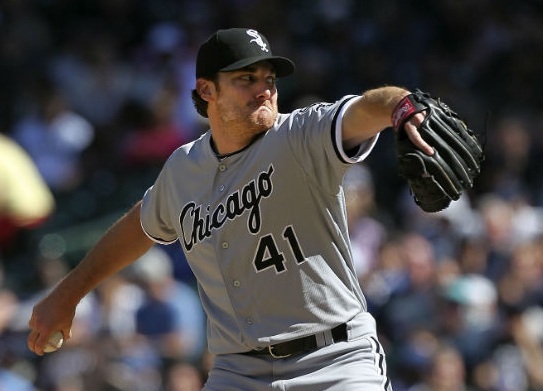 Phil Humber of the Chicago White Sox pitched a perfect game yesterday in a 4-0 win against the Seattle Mariners. It was just the 21st such game in the history of the major leagues. Facial hair on a politician is a bad thing - but on pitchers - a beard, mustache or goatee is a distinct advantage. The last U.S. President to have any facial hair was elected in 1908 (William Taft). Secret # 337: Facial Hair, Trust and Politics. The higher the political office, the less electable are men who have facial hair. Voters strongly prefer men who are clean shaven - for this sends nonverbal signal of trust. Pre-verbal children will even prefer their fresh shaven fathers over the previously recent "hairy" versions. Somewhere deep in our body language instinct - is embedded a relative distrust of those men with facial hair. Photographs of freshly-arrested men have a much higher percentage of beards, goatees and mustaches as well. Jurors also tend to convict at a higher rate when men have hair on their faces. Success in sports is not based on trust though - it's largely based on mindset and intimidation. In many sports, it's to your advantage to look mean, scruffy and unkempt. This is certainly true of baseball pitchers. I wish I had been in Seattle yesterday watching your fastball. Congratulations Phil Humber - on your perfect game and your new baby.